The focus here is clearly the food and service, both of which are stellar and live up to the Michelin star status of the space. When you walk into Yauatcha you expect a certain standard, given its foreign lineage. While the restaurant in London (which opened in 2004) is always full up and has a distinct party vibe, the one in Delhi is simple, elegant and quiet. The focus here is clearly the food and service, both of which are stellar and live up to the Michelin star status of the space. While the restaurant has been around in Delhi for almost two years now, it recently launched a new promotional dim sum trail menu. 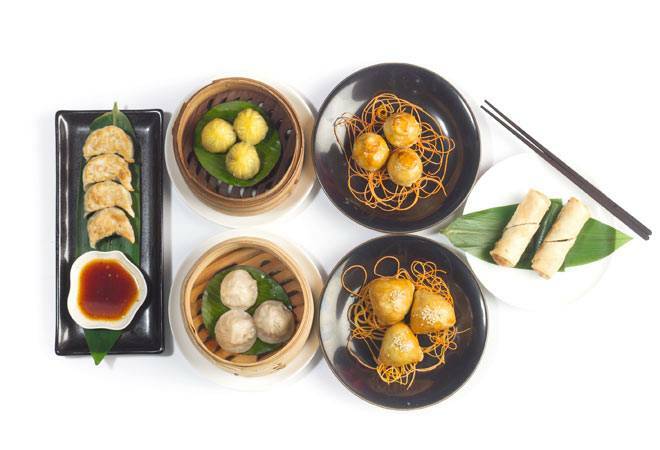 The meal comprises your choice of any six dim sum baskets which are to be shared between two people. 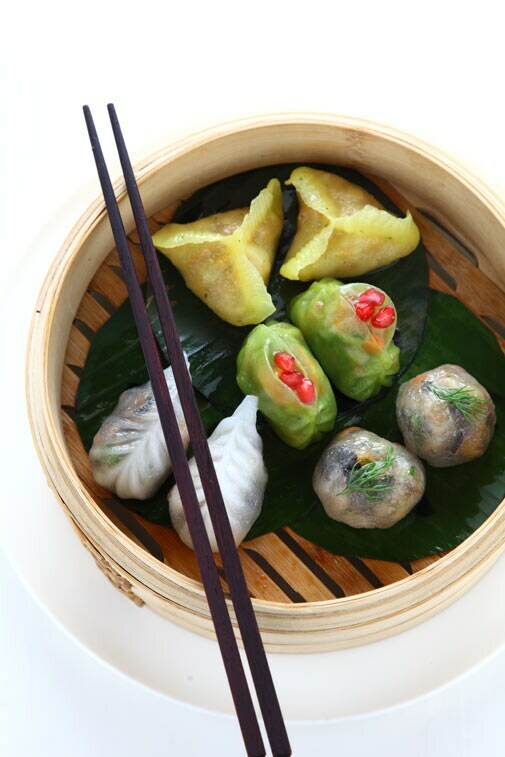 Each basket has between three and five dim sums and there is ample range to choose from. For vegetarians, the chiu chow dumpling, asparagus cheung fun and special vegetable Shanghai dumpling come highly recommended. We opted for the non vegetarian baskets and while we were initially apprehensive about whether the quantities would suffice, we need not have worried. We began with the prawn shui mui which had a think casing and a moist, well-seasoned filling. Almost every basket is served with a separate sauce and given that the textures are so varied (from pan fried to steamed to baked, even deep fried) no two baskets taste the same. The chicken shui mui is equally fantastic. The chicken char cui bun is one of the best I have eaten. The bun was light, aromatic and lacked the stodginess generally associated with doughy buns. The duck rolls were excellent as well, though the sauce it was served with could have been less salty. 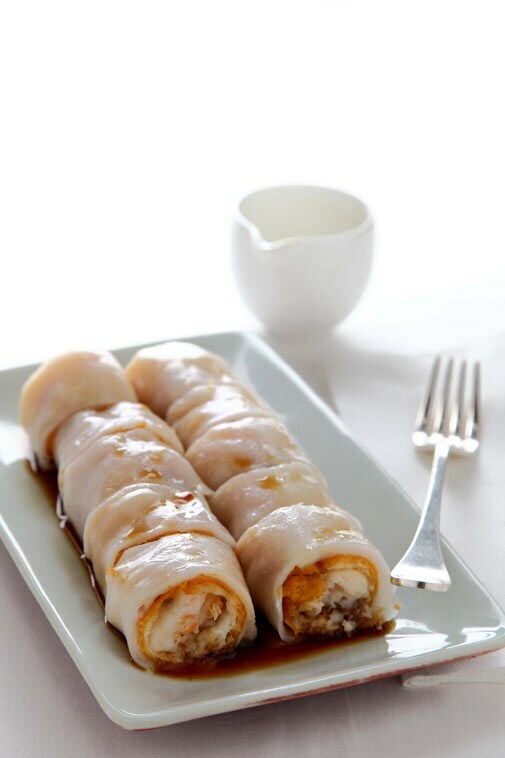 The prawn cheung fun melted in the mouth and was a wonderful way to offset the heaviness of the duck roll. 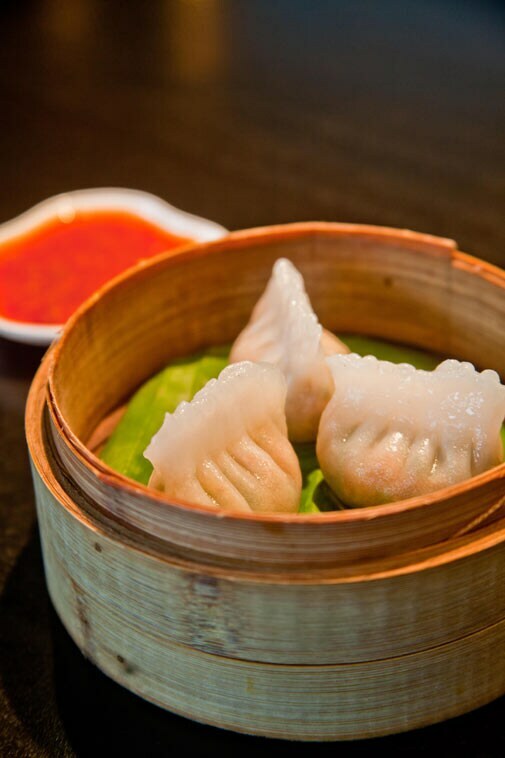 Order a pot of jasmine tea as you demolish basket after basket of delicious dim sums and end your meal with one of their well-crafted desserts. The milk chocolate praline is a winner with its rich texture and bitter chocolate sauce as is the raspberry dessert which looks gorgeous and tastes fabulous. Highly recommended for those who love Cantonese cuisine and are looking for a value meal that's delicate and delicious.